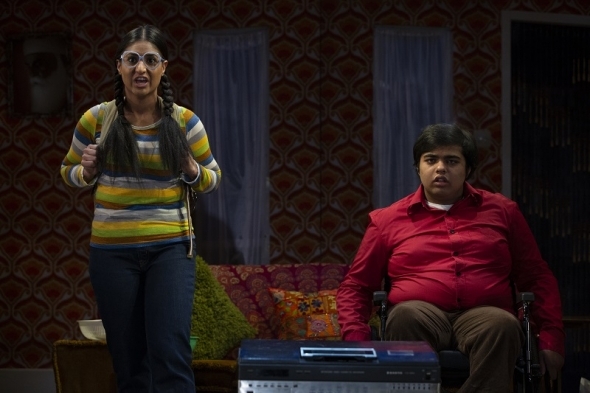 FANCY WINNING 4 tickets to see Gurpreet Kaur Bhatti’s new play called ‘Dishoom’, next week? We have teamed up the lovely folks at the Queen’s Theatre, Hornchurch, London and they’re offering 2 lucky acv readers the opportunity to win 4 tickets in one evening (or matinee) each for the forthcoming shows there. Great for a family! Or four friends for a great night out! The correct entries will then go into a special draw. Question: What is the name of the Bollywood film that has inspired ‘Dishoom’? Please state which day and time you would like to see ‘Dishoom!’ at the Queen’s Theatre, Hornchurch, in your answer please. Please write your full name and include a regular email address (especially, if it is not the one you are applying from) and a contact number – but please note we will only contact you by phone in the event that you do not respond to an email informing you of a winning entry. Neither the email addresses or nor any other contact details will be retained – but feel free to tell us if you want to subscribe to our newsletters (where we sometimes have similar offers and giveaways! At present, we only publish about four to six acv newsletters in a year). We aim to inform both winners by Tuesday (September 25) lunchtime at the latest – and you will only hear from us if you have a winning entry. Top picture: Baljit (Gurkiran Kaur) and Simon (Bilal Khan) in Dishoom! Normal terms and conditions apply, you should be 18 and resident in the UK. Thanks!